Los Angeles, CA - Award winning filmmaker JD Disalvatore was diagnosed with stage iv cancer four years ago, but that hasn't slowed down her activism or filmmaking. 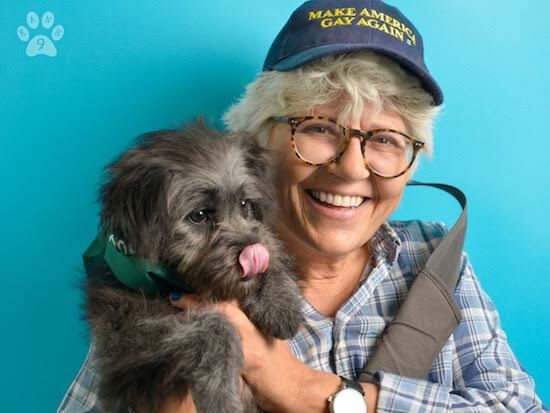 Now combining both endeavors, she is dedicating her time and talents to the movement to make Los Angeles a no-kill city, and is making a documentary about the fight called “How To Save a Dog”. In Los Angeles, the rescue community has been working on a movement to make the city "no kill" - which means that no animals would be euthanized for space. This seems like a monumental goal for any city, yet currently we're close to the tipping point where this actually could be attainable. In addition to the feature documentary, 20-30 educational internet videos will be made for social media to educate and engage anyone interested in helping make our nation "no-kill". These videos will be directed by an award winning documentary filmmakers and will cover various subject matters from "How To Become at Dog/Cat Foster" to "How to Introduce Your new Cat or Dog to your other Pets." 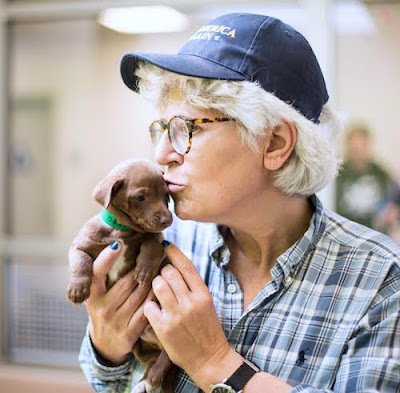 "When I started volunteering at my local animal shelter, I didn't know the first thing about animal rescue," says Disalvatore, who has won over fifty awards from film festivals around the world with her work, " As in any revolution or triage situation, you have hundreds of people in so many different capacities working together (and sometimes at odds) to rescue, foster, transport, groom, train, rehabilitate and find homes for the millions of unwanted dogs & cats in America. I was not only captivated by the ingenuity, bravery and gumption of the rescuers, but also completely sucked into the world of the animals themselves. I feel compelled to share that with everyone. Especially people that are interested in helping."